Rechargable Pedicure Callus Remover Review- Discover The Secret To Smooth Skin! 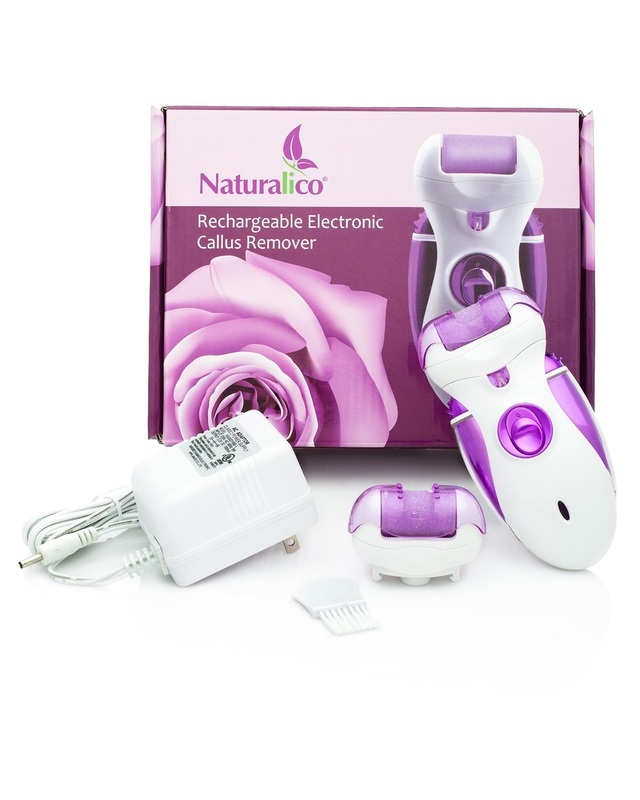 I am absolutely thrilled and totally amazed by this great Pedicure Callus Remover. I saw awesome results with the very first use. When the product arrived I charged it overnight and then my husband volunteered to use it on my feet. This is so simple to use that I could of quickly and easily did it myself, but since he offered I wasn't going to say "no". Haha. So we started off on the low setting. I wanted to see how it would feel. He ran it across the rough areas of my feet for a few seconds at a time just as directed. It actually tickled quite a bit. I found myself laughing a lot which made it fun. You could see the little particles being filed off. I highly recommend doing this over some newspaper, a trash can, or maybe in the bath tub so the dead skin can be collected. When we got to my heels which is the worst part of my feet, he switched it to the high setting. It also tickled a bit but really filed down that super rough heel skin. I am so very impressed with this wonderful Pedicure Callus Remover. I use to use the "egg" style pedicure products for filing my feet. Never again after trying this product. This is ten times easier and twenty times faster. My entire feet were done in just a couple minutes per foot. And the results were like a professional pedicure. I washed my feet before and after using the foot file and at the end applied some good lotion. My feet couldn't be more soft and smooth than they are after using this fantastic product. It works well, it's very easy, and super effective. I definitely recommend this. Feel free to check it out on Amazon. SIMPLE TO CLEAN Water-resistant design for quick & easy washing; 2 Grinding Roller Heads + 1 Cleaning Brush included!